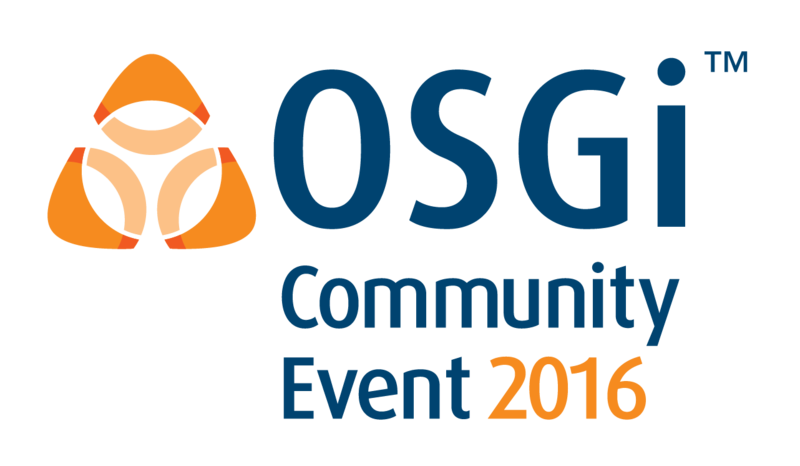 The Call For Papers for the OSGi Community Event 2016 is due to close on Monday July 18. Yes, thats Monday next week, so you don't have long left to get your submissions in. We are interested in talks and tutorials on all things OSGi - technical presentations, use cases, success stories, lessons learnt, you name it. This is the largest OSGi event of the year so its a great conference to talk at and attend. We will have more than 2 full tracks, a tutorial, BOF's, an OSGi IoT Demo and lots of opportunity to meet with your peers over presentations, the exhibitions, excellent entertainment and of course beers and food. Thanks to everyone that has made a submission already, we had a great response for the Early Bird deadline of the end of last month. Thanks also to Bosch for their Elite Dual EclipseCon Europe and OSGi Community Event Sponsorship. Their support is much appreciated. If you are interested in exploring sponsorship opportunities for the conference and event you can find out more information and access the sponsorship prospectus from here. We are pleased that the OSGi Community Event is being co-located with EclipseCon Europe again this year and it will take place October 25 to 27 in Ludwigsburg, Germany. The Early Bird talk selected is "OSGi on High Speed Trains in Germany" by Roland Ndaka Fru from Yaka5 GmbH. You can find the full abstract of the talk here. This should be a great talk on how OSGi is delivering value in a real world business scenario we can all relate to. The OSGi Keynote - "OSGi/Java in Industrial IoT: More than a solid trend — essential to scale into the world of Internet connected things" from Robert Andres at Eurotech Group, will also include a use case from Hitachi High Technologies by Water Hofmann discussing their predicative maintenance solution which is based on OSGi, courtesy of the Eurotech products that they use. Registration is open and you can get the best prices booking before October 4. And don't forget OSGi Alliance members get an extra discount on registration. Please visit the EclipseCon Europe registration page for pricing information and to sign up. The OSGi Community Event Program Committee are Looking forward to reading and reviewing your talk and tutorial submissions. If you have any questions please contact the Program Committee via email.